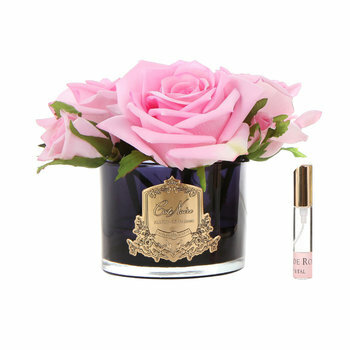 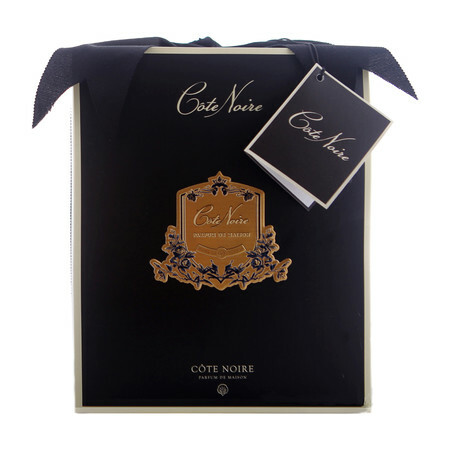 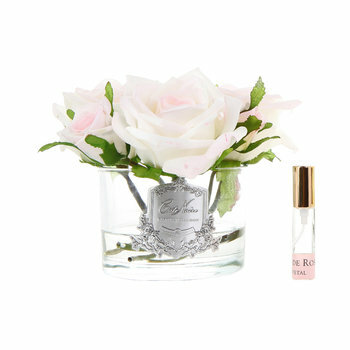 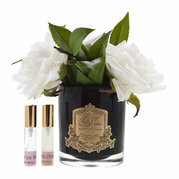 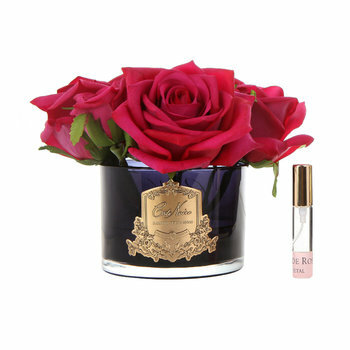 Perfume your home whilst updating your decor with this Roses and Lilies scented floral arrangement from Côte Noire. 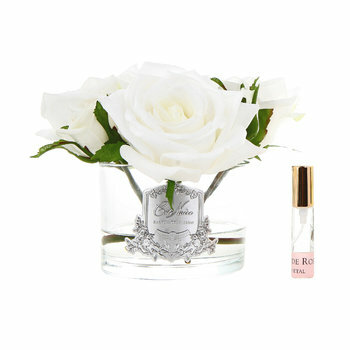 Artfully handmade, this arrangement includes a bouquet of faux roses and lilies with a natural coating for a realistic finish. 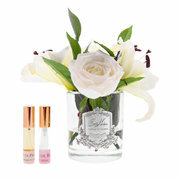 Available in fresh white or blush pink, the flowers are encased in a black glass holder. 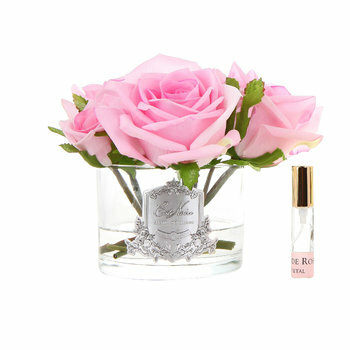 Two small spray bottles are also included in the Spring Flower and Rose Petal scent to refresh and enhance the flowers’ fragrance.